Just when you thought you had the latest in camera technology, along comes something new and shiny and ... rectangular. 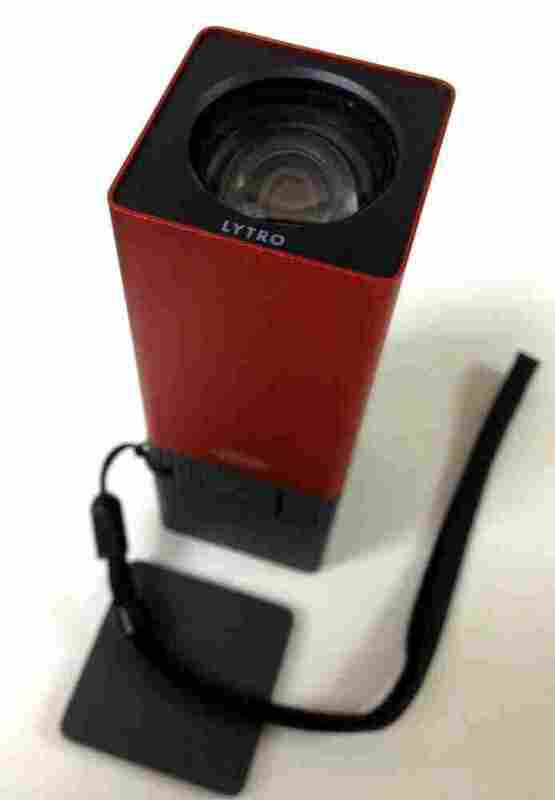 The Lytro we received to demo is about four inches long. It's called the Lytro, and it uses something called "light field technology." In short: You shoot now and focus later. NPR's resident photo expert, Keith Jenkins, explains: In a nutshell, he says, this camera captures not only the color and the intensity of light — which is what normal cameras do — but also the direction of that light — from every possible angle. Still confused? We are, too. The best analogy came from Lytro CEO Ren Ng, who made a musical analogy. Let's say you like a band, and they're great live. But say you want to record them. You generally don't just stick a mic in the middle of the room and hope for the best. You record each band member — and sometimes even their instruments — separately in a studio. That way, when you're mixing it all together, you can control every element. So think of the live band as a point-and-shoot camera on automatic and the studio recording as the Lytro. Taking that analogy a step further, here's one of Keith's experimental photos — of the Cowboy Junkies playing a Tiny Desk Concert. Click around to see how it works. We don't completely understand what goes on inside this little box — some of that is proprietary. We do know there's a lot of math. And a lot of sensors. In short: The idea is to gather as much information as possible to give you more control after the photo is taken. So say you've got a pretty person in front of some majestic mountains. Instead of focusing on one before you click, you can take the photo — and choose your focal point later. The New York Times compares the Lytro's size to a stick of butter, which is about right. For $399, the 8-gigabyte model can capture about 350 images; the "red hot" 16-gigabyte model can capture 750 and costs $499. For some photographers, the technology could be a breakthrough. The pressure is off – you don't need to worry about focusing perfectly in the moment. It's also a chance to experiment with artistry in a different way. "The interesting thing about this camera is what this new technology opens up," Jenkins says. "The possibilities when you're gathering so much visual information from a scene and in essence, gathering it in almost a three-dimensional way — the potential of what this does for photography is pretty huge." What do you think? Does this take the art out of photography? Or open up new doors to artistic interpretation?